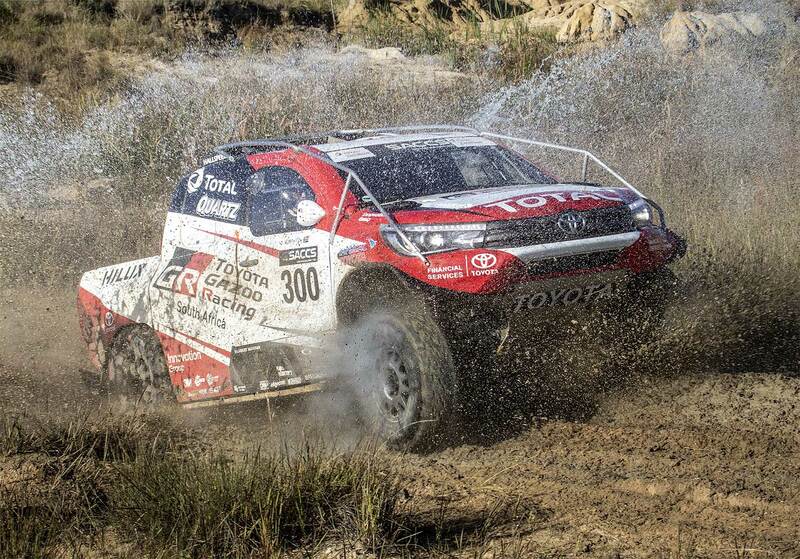 With two victories from two starts in the 2018 South African Cross-Country Series (SACCS), Toyota Gazoo Racing SA's Giniel de Villiers will be hoping for similar results during Round 3 of the championship - the grueling Toyota Kalahari Botswana 1,000 Desert Race. The Desert, however, is the only Marathonrally on the local calendar, and cannot be taken lightly. Giniel de Villiers: "It isn't just a battle against the route"
"We won in Botswana last year," says De Villiers, "but only by six seconds over Leeroy Poulter and Rob Howie - probably the closest winning margin in the history of the race. So, it isn't just a battle against the route, but also the other crews out there. We know it is going to be tough." And tough is certainly an apt description for the longest race of the year. With 1,000 racing kilometers to cover over three days, The Desert takes no prisoners. Add to that the sandy terrain of the Kalahari Desert, with dense shrubs on either side of the route, and it quickly becomes clear why this is race is steeped in history and legend. Over the years, Toyota has chalked up more victories in the desert than any other manufacturer. Names like those of Toyota stalwarts Kassie Coetzee, Apie Reyneke and Anthony Taylor have become synonymous with the event; while legends of the sport such as Hannes Grobler and Duncan Vos have also contributed richly to the history of The Desert. This year sees Toyota Gazoo Racing SA again enter two cars. Defending SACCS champion and Dakar legend, Giniel de Villiers, will field the #300 Toyota Hilux, with co-driver Dennis Murphy beside him. De Villiers currently tops the championship standings for 2018, with a lead of 14 points over Ford's Lance Woolridge. "As always we will be using the opportunity offered by the Desert Race to further test our latest Toyota Hilux," says Toyota Gazoo Racing SA Team Principal, Glyn Hall. "We've installed some new components on Giniel's car, and we're keen to measure their performance in the tough conditions offered by the Desert Race. With its sandy conditions and long distances, we greatly value the data we gain from Botswana, as part of our preparation for Dakar 2019." Henk Lategan, in the #309 Toyota Hilux is currently in third place in the overall standings, some 26 points behind Woolridge. He will be aiming for a good result on his first Desert Race with the Toyota Gazoo Racing SA team. Barry White will co-drive for Lategan on this event. In the Class T battle, Malalane Toyota's Johan and Werner Horn currently find themselves in second place in the championship, but a good result in Botswana will allow them to leap-frog Woolridge into the lead of the championship, despite lagging by 25 points after two rounds. "The Desert Race offers the opportunity to score double points," says Johan Horn. "So, we have no choice next weekend: We have to push really hard for the win, or else our championship will be in jeopardy." 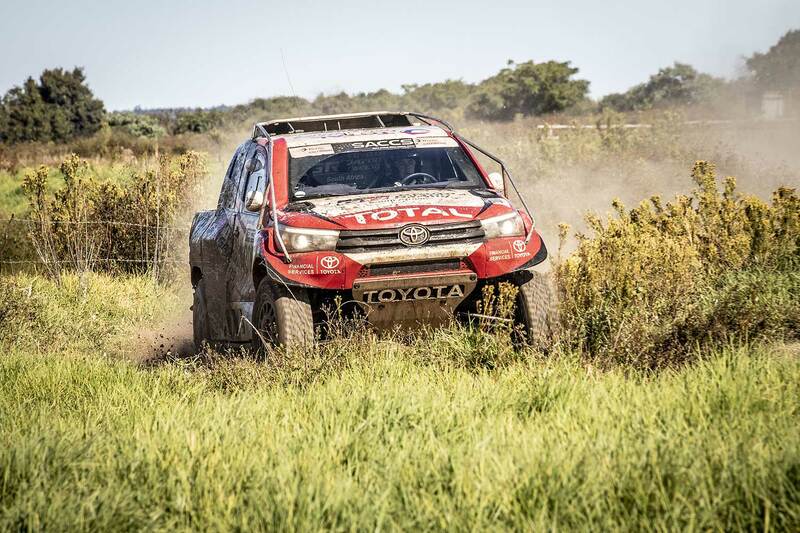 Toyota´s Glyn Hall: "This Rally gives us invaluable data in our quest for Dakar glory"
The Toyota Kalahari Botswana 1,000 Desert Race gets under way with a qualifying race of 50 km on Friday, 22 June. This is followed by two more days of flat out racing on the Saturday and Sunday of the weekend, each featuring two race loops of roughly 220 km. The Designated Service Park (DSP) and race HQ will again be situated at the sports grounds near the Botswana town of Jwaneng, and access to all spectator points are free of charge. 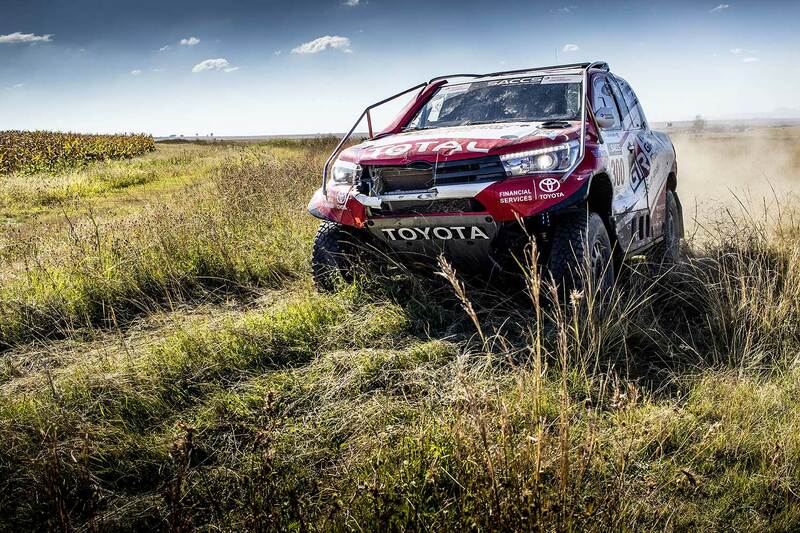 "The Toyota Kalahari Botswana 1,000 Desert Race is a highlight for us in many ways," concludes Hall. "It is the longest and toughest race of the year; it gives us invaluable data in our quest for Dakar glory - but most importantly it is a race that is owned by Toyota SA Motors. As such we always feel the pressure to perform, and this year will be no different."